If you are consuming cloud resources you’re probably facing some challenges such as cost management, optimization and confidence on how spending is happening. Have you ever faced any surprising cost at the end of the month? Perhaps someone forgot to delete a 24 Core, 56 GB of RAM high performance VM? Azure has made available Reserved Instances, its fundamental principle is to save money over a period of time by paying upfront. You can pay 1 or 3 years in advance. The savings go from 40% to 70% depending on the size of the VM selected. The following example reflects the significant savings Reserved Instances provide. A D12 V2 VM running Windows Server 2016*. This prices will vary according to your licensing. The following is an example of a Pay-as-you-Go Subscription. This resources were created in the Australia Southeast Region (Melbourne). You will have a view of the cost of the reservation before executing it. Then all you have to do is select Purchase and that’s it. The reservation term will begin as soon as payment is processed. Once you’ve done it your next option is View this Reservation to see the status of your purchase. If later on you decide to cancel or exchange at any time, you have the option to do it in the overview section of your reservation. If you need to cancel there may be a 12% early termination fee, the refund you’d receive is the remaining pro-rated balance minus the early termination fee. If you need to do an exchange you can do it to change to another region, VM size group or term. It has to be something equal or greater value, then the new 1 or 3 year term starts from when you create the new reservation. Once you’ve bought it, the reservation discount will automatically apply to VMs that match the size and quantity. You don’t have to pick the OS either, just purchase the amount of instances you require. The VM usage is separate from the RI (Reserved Instances) inventory, on the backend the Microsoft systems are doing the match-making to ensure the usage is matched automatically to the right reservation. 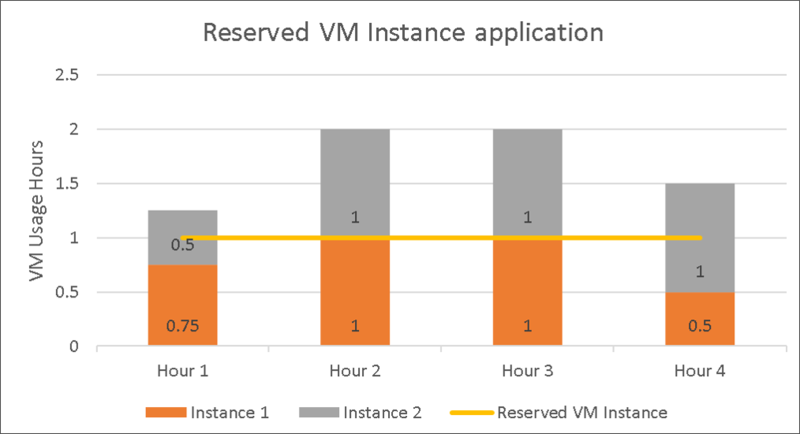 To understand restrictions and clarify more you can visit the Azure Reserved VM Instances offering page, the FAQ at the end clarifies about restrictions in VM sizes. Now, go and save some money!